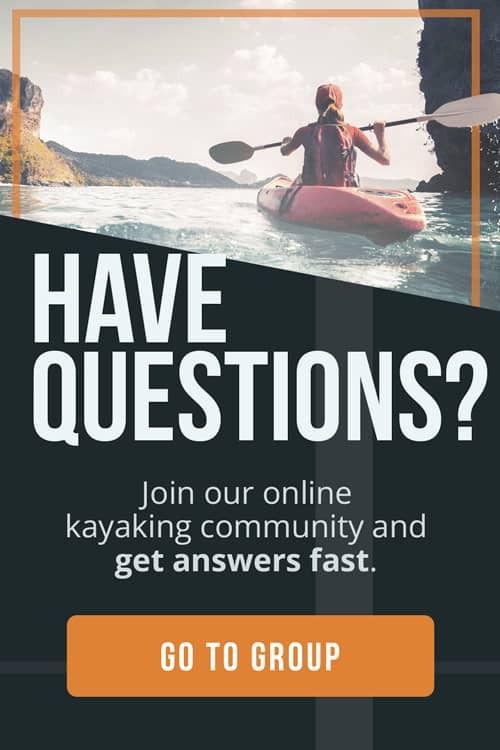 Do you have experience in both kayaking and fishing, but not kayak fishing? Are you frustrated by your inability to move stealthily through small waterways because your boat is too large or loud? 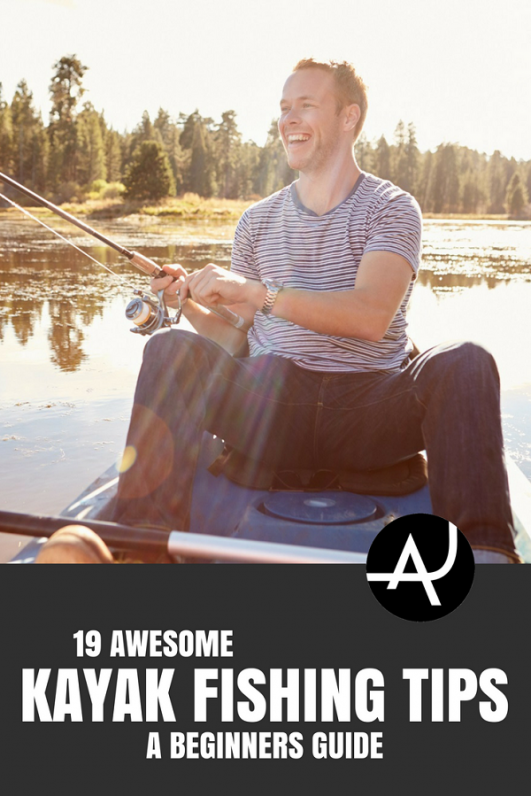 Here at The Adventure Junkies, we’ve come up with 19 kayak fishing tips every beginner should read. If you dream of being alone on the big blue ocean and catching mahi-mahi, wahoo and tuna, then kayak fishing might be for you. This offers unparalleled maneuverability through pristine fishing areas inaccessible to boaters and shore fisherman. Let us help you make your outdoor adventures successful right from the start. We’ll teach you what dangers to look out for, what to take on your trip and how to move smoothly, quietly and effectively through waters where the fish are biting. Understanding what’s biting, where and why is not only an integral part of developing your skills as a fisherman but also the environmentally responsible thing to do. Check the weather reports before you go to be able to spot fast-forming systems. While not inherently dangerous, fog can make it easy to lose track of your position on the water. This can cause you to get lost, exposing you to the elements for much longer than you anticipated. Strong winds cause choppy waves. It’s easy to imagine why you’d want to avoid this while riding a small vessel. If you’re going to kayak in the rain, make sure to bring a rain jacket, shell or drysuit to ensure comfort. 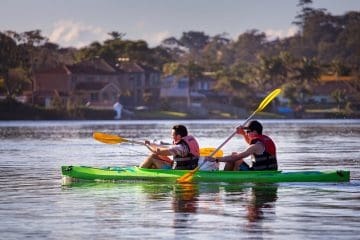 Although being wet while kayaking is usually just an annoyance, it can be very dangerous when combined with cold weather. In the event of a thunderstorm, immediately head back to shore as soon as you spot trouble. If you get caught in a storm on the water, take your fishing rods down and lay them flat in your kayak before paddling back to shore so they don’t act as lightning rods. Be realistic in your estimate on how long it will take you to cross large waterways before you begin to cross. Look for oncoming vessels moving at high speeds as they will approach very quickly. Most of time, these could pass you more quickly than you expect. Be aware of tankers, also known as tanker ships. These massive ships transport oil, gas, chemicals and other goods as well as create very large waves. You will most likely encounter them on rivers used for transport and near ocean jetties as they cruise to port. It’s best to paddle directly toward the waves, with as much momentum as possible to punch cleanly through. Traveling parallel to waves puts you at risk of capsizing. Safety is the most important item on your pack list as it’s going to be what saves your life in the event of an emergency. A personal flotation device (PFD) is essential. Other items you should take include a whistle, flares, gloves, a headlamp (even if you do not plan to be out at night), first aid kit, paddle leash, fishing rod leash and an emergency kayak repair kit. Skin protection will keep you comfortable on your trip and healthy long-term. Pack bug spray, waterproof sunscreen, sun-protective clothing, a hat and sunglasses. Food and water are not only necessary for survival, they could also be the only things that bring you happiness in the event the fish aren’t biting. To avoid dehydration, drink plenty of water the day before your trip. Pack water-rich foods like fruit and lean proteins to snack on while fishing. 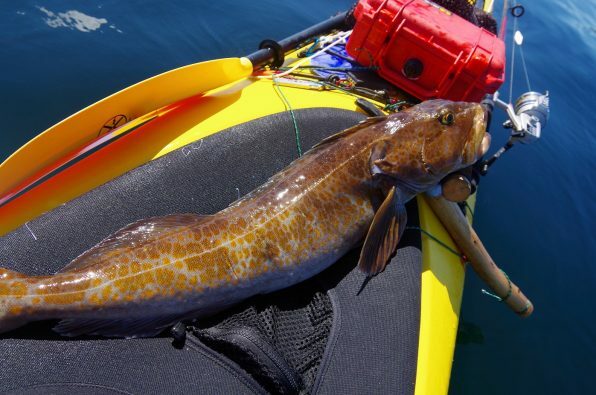 An anchor is often an overlooked piece of gear on many first-time kayak fishermen’s pack list. A popular and easy-to-use choice is the folding anchor. Weighing 1.5 to 4.0 lbs, folding anchors are small which makes for easy storage. These even typically come in a carry bag for convenience. 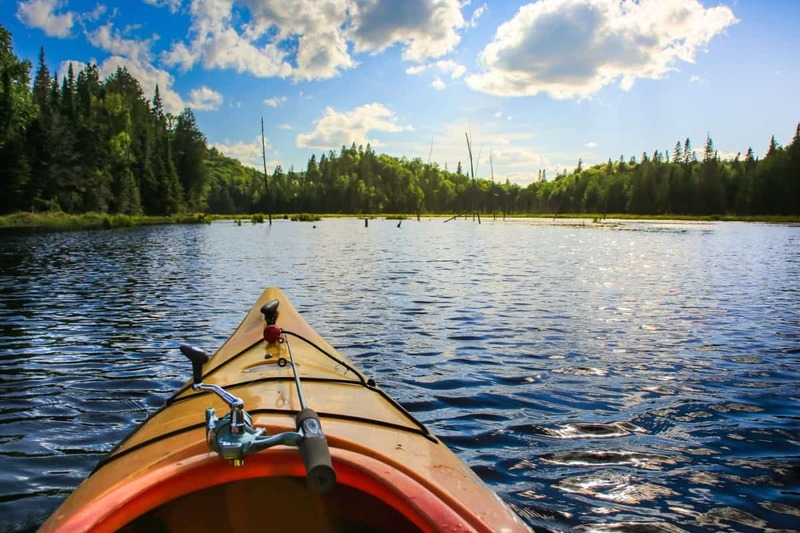 Another option is a stake-out pole which is quite literally a very large, sturdy pole designed to be stuck in the mud, either through a designated hole in the body of the kayak or simply tethered to the kayak. Stake-out poles are ideal for flats fishing. Regardless of your choice, only tether your anchor to the bow or stern as a side tether could capsize your kayak. Read our article on the best kayak anchors. Fish handling gear includes gloves, pliers, nets, line cutters, fish grips and stringers. If you’re new to fishing, consider crimping the barbs on your hooks as unhooking fish is a skill in itself. Gloves are useful when handling fish with sharp fins or teeth. Unless you hooked a soft-lipped fish like a trout, which you can easily remove the hook with your fingers, a pair of pliers will come in handy. Look for a pair that tethers to your PFD or consider a survival multi-tool. Nets are useful for scooping up the fish as you bring it close to the kayak. These allow you to leave the fish halfway in the water, which eases the strain on your catch. The best way to document your kayak fishing adventures is with a camera on a mount. The GoPro Hero5 Black offers 4K capture, voice control, a 2-inch touch display and video stabilization in a waterproof and virtually indestructible build. There are other competitors on the action camera market, all of which can be attached to a mount on either the bow or stern of your kayak. YakAttack offers a wide selection of kayak camera mounts. Sight fishing is the act of looking into the water to find fish first with your eyes. Polarized glasses are a must-have since they cut the glare from the water and allow you to see through as far as water visibility will allow. 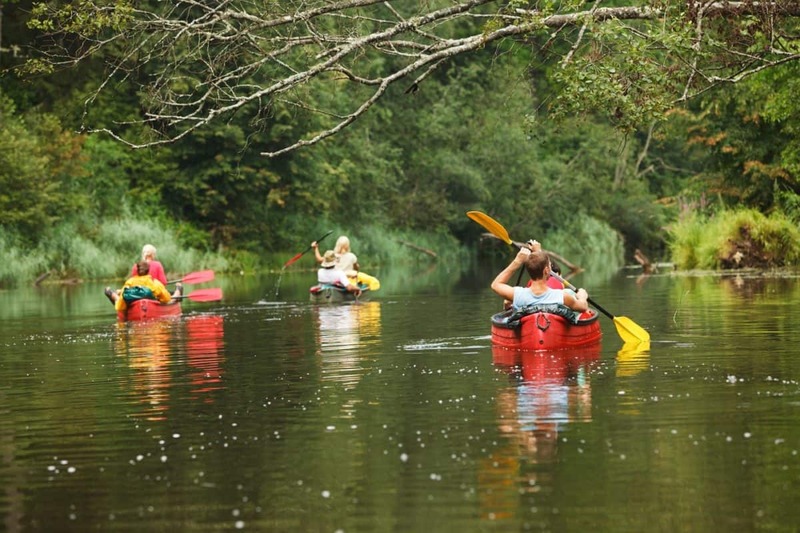 If your kayak is extra wide or built for stand-up fishing, practice standing and paddling along a bank or marsh. Have your rod ready to cast. 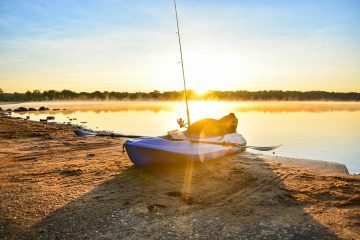 Read our article on best fishing kayaks for recommendations on all types of fishing kayaks including those suitable for stand-up fishing. Any vibrations made inside your boat or on top of the water will be felt and heard by fish swimming nearby. Try not to knock your paddle or rod against the kayak or the water’s surface. Efficient lure changing could mean the difference between catching a fish and not. Many times, you will eye a group of schooling or feeding fish only to lose them because your line held an inappropriate lure. Practice changing lures quickly before your trip. Drifting is a skill that will come in handy even more than utilizing an anchor. Paddle a bit in the direction you want to go and then drift with the current through your targets. A single stroke on the left or right side of your kayak here or there will keep you on track. Some anglers deploy a drift chute which is essentially an underwater parachute. This catches enough water to slow your kayak’s momentum without fully stopping it. Fighting fish are the biggest thrill you’ll get from kayak fishing. Whether you’re reeling in a big redfish, one of the best fighting fish out there, or a small bass, it’s always exhilarating. Read up on how to correctly set the drag based on the strength of your fishing line and weight of the hooked fish at World Fishing Network. Fishing up wind can be very difficult especially to new fisherman. One trick is to point your rod tip sideways instead of straight up. By keeping your rod and lure low and close to the water, you avoid the higher speed winds above you. Wind tends to blow in gusts, so try to cast your lure in between the strongest gusts. After making a cast, keep your rod tip low so the wind doesn’t push on your line and drag your lure from its target. 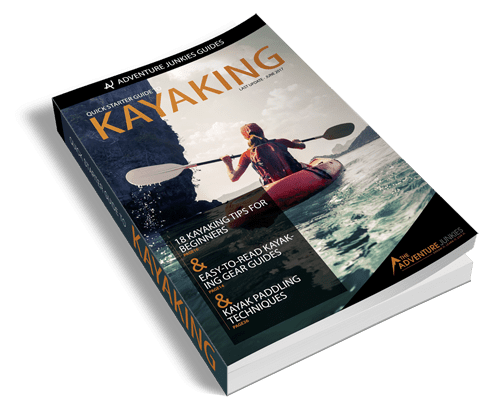 Understanding the positioning of your kayak relative to the shore is a key factor in determining your ability to hit your targets. PackPaddle offers detailed infographics on optimal positioning. 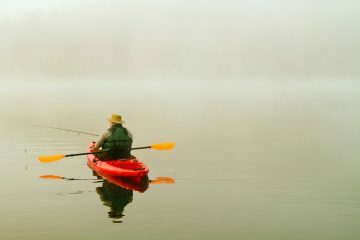 To the seasoned fisherman, kayak fishing may be a breeze, but getting to the launch site can prove difficult for anyone. Sometimes there’s a a long trek from the parking lot down a bumpy trail to the waterfront. Carrying a kayak a half a mile, even with two people, is exhausting. But, it would be nearly impossible if each person has their own kayak. A kayak cart allows you to support one end of a kayak on a lightweight, padded frame and terrain wheels while you guide the rig via the handle on the other end of the kayak. Some are even towable by bicycle. Very high frequency radios are the only means of communication in offshore areas out of cell tower range. Know how to re-enter you kayak should you fall out. This is an invaluable skill in all arenas of kayaking, but absolutely essential or offshore fishing, where land is out of swimming distance and predators are large enough to inflict lethal injury on humans.